Rohan itself has everything needed for a holiday in Brittany small supermarket, shops, banks and restaurants. It is easily reached from the B&B, either on foot or bicycle along the canal towpath, or a five minute drive in the car. 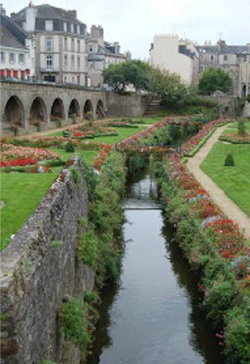 A central feature of Rohan, of course, is the Nantes to Brest canal, which runs right through the middle of the town. The Lock House at the main lock in the town is a wonderful sight in summer bedecked in colourful flowers. There is a large pleasure lake, with attractive park, a small port for boats from the canal, communal tennis courts, bicycles are available for hire from Tourist Information at a reasonable price. Rohan is the name of one of the most illustrious feudal families in the history of France, the name is of course derived from that of the small town in Morbihan - Rohan. Alain I De Rohan, son of The Viscount Of Porhoët, was the first to take on the name of Rohan, after the place where he was born, the family claims connection with the ancient sovereigns of Brittany. Since the 12th Century the family held an important place in the history of Brittany, and strengthened its position by alliances with some of the greatest houses in France. ​Brittany Boating provides relaxing boat holidays on the River Blavet and the Nantes-Brest Canal. The waterways of the Morbihan are truly spectacular. We hope your boating experience with us is enjoyable, fun and memorable. We guarantee you will never tire of the beautiful scenery. 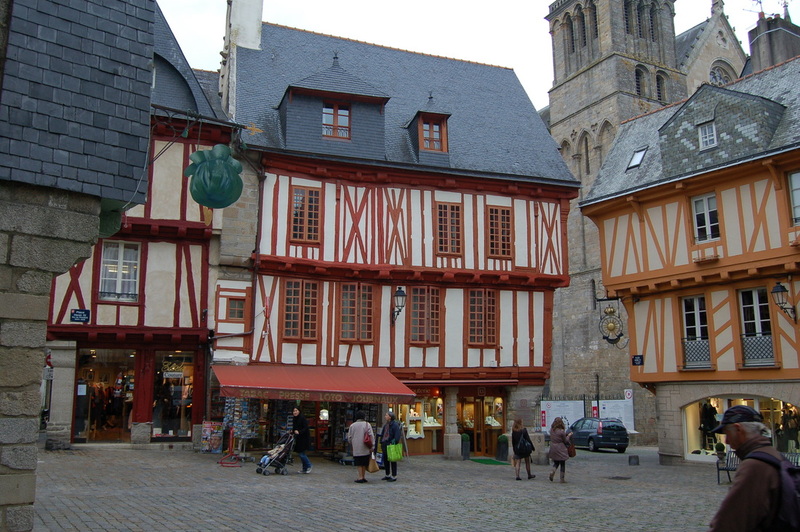 The picturesque town of Josselin is a centre for the surrounding rural area and a great attraction to tourists. Most of the town is on the north bank of the River Oust/Nantes-Brest Canal where the Chateau des Rohan, of 12th century origin, towers dramatically above it. The Chateau is open to visitors from April 1st to October 31st and there are tours in English daily during the summer, it has been the seat of the Dukes of Rohan for centuries and is still occupied by the family. The Dolls' Museum has developed in buildings in the grounds and houses over 500 dolls and dolls' houses. L'Abbaye de Bon Repos, Brittany The abbey was originally built in 1184 and has been successively ruined and rebuilt over the centuries. Its superb setting next to the River Blavet and the Nantes-Brest Canal is well worth a visit: there are weirs, salmon stairs, a former water mill, a mediaeval stone bridge over the river, a restaurant and a very interesting fossil/jewellery/objets d'art shop. Opposite there is a creperie/bar where you can sit and drink while watching the world go by. On Sunday mornings from Easter to October there is an interesting local market where traders sell organic produce and crafts - it’s not just for tourists, it's also popular with locals in Brittany. 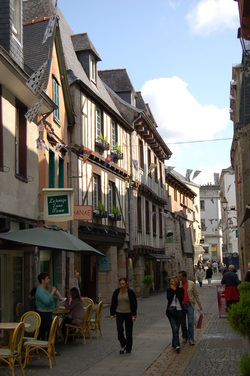 Quimper capital of the ancient diocese, kingdom and later duchy of Cornouaille, is the oldest Breton city. 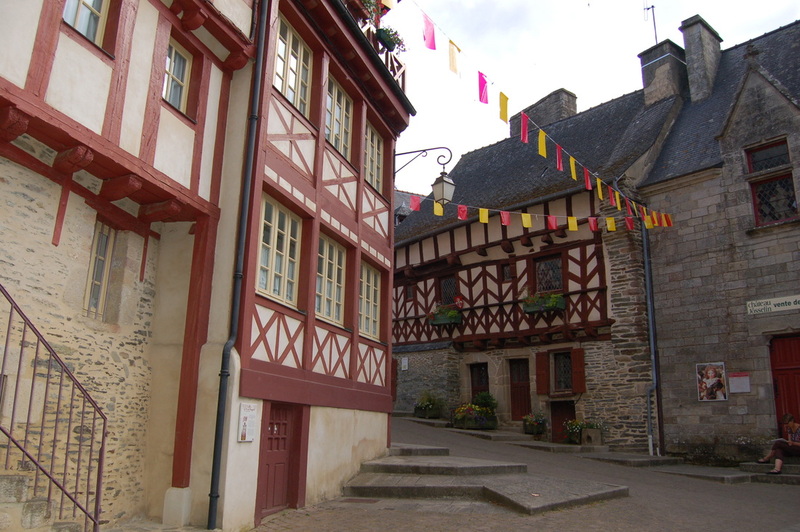 According to legend, the first bishop of Quimper, St Corentin, came with the first Bretons across the Channel some time between the fourth and seventh centuries to the place they named Little Britain. He lived by eating a regenerating and immortal fish all his life, and was made bishop by one King Gradlon, whose life he later saved when the sea-bed city of Ys was destroyed. According to one version, Gradlon built Ys in the Baie de Douarnenez, protected from the water by gates and locks to which only he and his daughter had keys. However, St Corentin suspected her of evil doings, and was proven right: at the urging of the Devil, the princess unlocked the gates, the city flooded and Gradlon escaped only by obeying Corentin and throwing his daughter into the sea. Back on dry land and in need of a new capital, Gradlon founded Quimper. Ys remains on the sea floor – it will rise again when Paris ("Par-Ys", "equal to Ys") sinks – and, according to tradition, on feast days sailors can still hear church bells and hymns under the water. 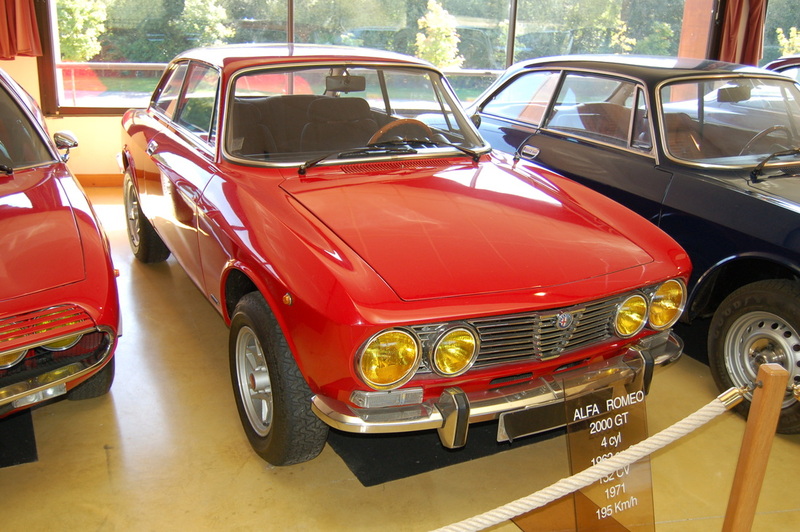 Visit the car museum at Loheac, a small village in Brittany. Over 14,000m2 of museum housing over 400 cars from the likes of Ferrari, Lamborghini, Bugatti, Bentley, Jaguar, Porsche and more. Also on display are Formula 1 and Le Mans cars as well as numerous cars from the past. This is a fantastic place for any car enthusiast to visit, with a choice of fine restaurants for lunch. 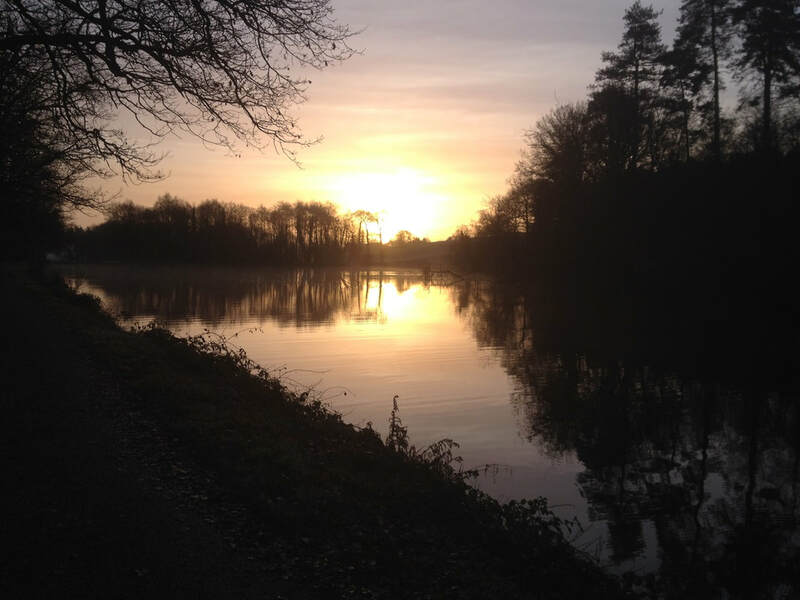 A magnificent stretch of water located at the heart of Brittany’s legendary Argoat forest, renowned for it's beauty, various watersports and excellent carp fishing. A popular venue for families, the Lac boasts several clean sandy beaches. It is one of Brittany's finest treasures. The lake is formed where the waters of the River Blavet join with the for all ages. Facilities include tour boats and a fabulous floating restaurant with a good menu. Endless watersports available include a sailing school, canoe and kayak hire, a water-skiing club, which offers lessons as well as waterski boat hire, motorboat hire and pedalos. For those people wanting to take it easy on the water's edge, there are several beaches to relax on plus crazy golf course and numerous bars, restaurants and crêperies. The surrounding forest offers much opportunity for gentle strolls along its many tracks. A trip to the local market would make your holiday in Brittany complete -and there is a good variety to choose from. You are guaranteed the hustle and bustle of a market somewhere nearly every day of the week. If you want to experience real France –take the time to absorb all that local life has to offer when it comes to the tempting smells of fresh, local produce. It is here that you will also find the best local Breton oysters. It is always a good time to visit central Brittany, throughout the year there are plenty of things to do, with activities for everyone. Golf: There are various 9 and 18-hole golf courses in the area. Visit: www.formule-golf.com to find out how you can play at different courses throughout your stay at reasonable rates. Walking: To enjoy the picturesque beauty of the area, there are many beautiful walks and footpaths, along country lanes, to following the canal or coastal hikes. 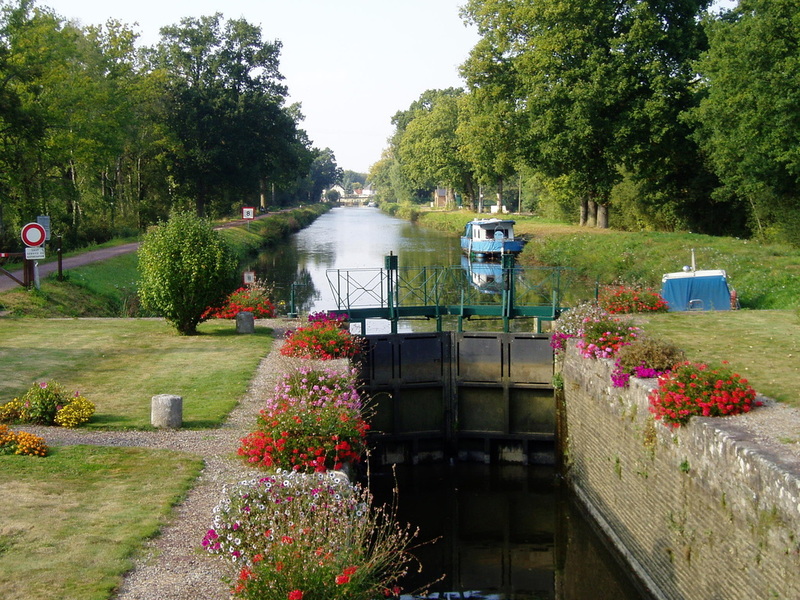 Cycling: Explore the well-maintained Nantes to Brest canal towpath. As it is flat, you can cycle along the canal side for many miles. For an energetic ride the area is crisscrossed with empty country lanes and cycle routes. Fishing: The River Blavet boasts some excellent coarse fishing. Daily or weekly fishing permits can be bought in the local Tabac (newsagents) and are valid throughout the Morbihan area. It is an ideal river for fishing due to easy riverside access. Fishing in the nearby Nantes to Brest canal is also popular. Canoeing: Canoes can be hired at Rohan or Pontivy. Tennis: There are outdoor tennis courts in the village of Rohan (available for hire at a small charge). Horse Riding: There are local stables about 15 minutes drive away in the town of Loudeac. Swimming and Surfing: Both activities are very popular throughout the west and north-west coast of Brittany. Easily accessible an hour away is the Côte Sauvage.